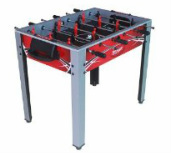 EastPoint Sports is a large player in the design and manufacturing of sporting good and home game equipment. They have a large dealer network with some of the larger big box stores such as Academy and Walmart. Due to their large reach, they produce much more than just their foosball line. Chances are if you can think of a family game that can be sold for your home they will make it. 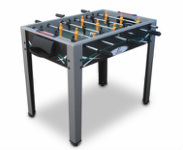 They are known for tailgate games, darts, air hockey, ping pong, pool and many other fun sports games. EastPoint Sports' corporate focus is to make family-friendly games that can be enjoyed by a variety of ages from children to adults. Their mission is to develop the games that are popular today and seek to invent new games that will be played for tomorrow.